3/26/2019: This is an update on this ongoing project, as funding is renewed for a second year. FRAXA Research Foundation and the Fragile X Research Foundation of Canada have awarded a grant of $100,000 over two years to Dr. Raymond Turner at the University of Calgary in Alberta, Canada. 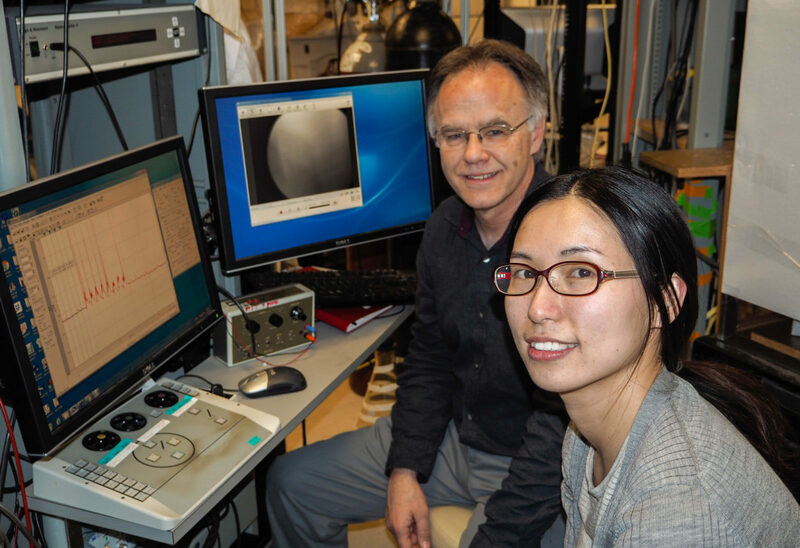 Dr. Turner and postdoctoral fellow Xiaoqin Zhan, PhD are attempting to reactivate a segment of FMRP to reverse symptoms of Fragile X in a mouse model of the disorder. The Turner Lab and their collaborators are attempting to rescue major aspects of Fragile X brain function by replacing FMRP, the protein which is lacking in Fragile X syndrome. They are using a shortened version of FMRP, since this is expected to be less toxic and easier to insert. This shortened protein will only perform some of the functions of the full length protein; most importantly, it will not have any effect on protein synthesis, which may have been the source of toxicity in previous studies. However, it is designed to correct the abnormal function of various ion channels seen in Fragile X, which are critical to maintaining the electrical properties of neurons. The team has now demonstrated that this critical function can be rescued by injection of their shortened protein, coupled with another short protein called Tat. This process so efficient that the replacement protein can be injected into the tail vein of mice, but still get into brain cells. The investigators have explored the dosages required for optimal replacement, and have demonstrated behavioral improvements in the mice at low doses, while observing no toxic effects even at much higher doses. These exciting results show that intravenous protein replacement can have therapeutic effects in Fragile X animal models, and that this can be done safely. They open the door to reintroducing FMRP as a potential therapeutic strategy to restore circuit function and reduce abnormal behaviors in Fragile X syndrome. In the next year of studies, the Turner Lab will find the exact composition of the shortened FMRP-tat protein that delivers the best longest-lasting effects and the least toxicity. 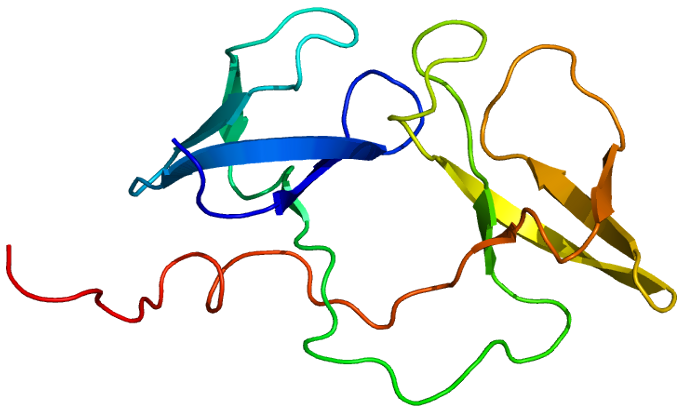 Tat, which stands for “Trans-Activator of Transcription” is a tiny string of amino acids which can be attached to a protein, like FMRP. It is useful for protein replacement because it can serve as a taxicab, transporting a protein into the brain, past the infamous blood-brain-barrier. In this case, it can be used to deliver a segment of FMRP to brain cells. In this project, Drs. Turner and Zhan will attach Tat to a segment of FMRP rather than the full protein. Why just a segment of FMRP? 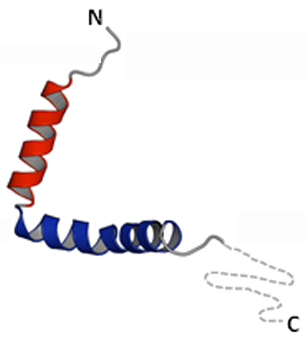 The Fragile X protein is very large – too large to easily transport, even with Tat. In addition, starting with a simplified version of FMRP avoids some dosage issues that people have seen in previous studies of protein replacement. Fragile X syndrome results from a loss of a single protein, FMRP, which regulates the translation of other proteins needed to maintain synaptic plasticity in the brain. Dr. Xiaoqin Zhan, a Postdoctoral Fellow co-sponsored by FRAXA and the Fragile X Research Foundation of Canada, studies how loss of FMRP affects plasticity in the mossy fiber-cerebellar granule cell pathway, one of the largest sensory input arrays in the brain. Her data reveal that a simulated sensory input that evokes long term potentiation (LTP) of granule cell excitability in normal mice is completely lacking in mice that do not express FMRP. This difference reflects a requirement for FMRP to bind to a specific ion channel complex (Cav3-Kv4 —- T-type calcium-A-type potassium) in granule cells to produce LTP. Importantly, intracellular infusion of a short fragment of FMRP into granule cells during whole-cell patch recordings in tissue slices of Fragile X mice restores LTP of mossy fiber input. Moreover, injecting an FMRP fragment as a peptide conjugated to a Trans-Activator of Transcription (Tat) peptide into a mouse tail vein is rapidly transported across the blood-brain barrier to enter cerebellar cells. She finds that this not only rescues LTP in Fragile X mice when brain slices are prepared two hours later, it also significantly reduces hyperactivity characteristic of Fragile X syndrome for at least 24 hours in live mice. She and a collaborator of the lab, Dr. Ning Cheng and her students, have found the dose of Tat-FMRP that optimizes effects on LTP and behavior. Moreover, dissociated mouse cerebellar granule cells show no signs of toxicity even 5 days following direct exposure to tat-FMRP at concentrations well beyond that experienced in the brain after tail vein injection. The group is now focused on defining the concentration of Tat-FMRP that is active in the brain and how long it is retained to mediate these effects. Next steps will be to refine the structure of Tat-FMRP conjugates that improves its accessibility or retention time, once taken up by neurons. FRAXA-funded researchers around the world are leading the way towards effective treatments and ultimately a cure.